My younger brother is a true music enthusiast. He plays tuba in a number of bands some of which are quite serious. He is just starting a Tuba blog of his own. If you want you can pay him a visit. 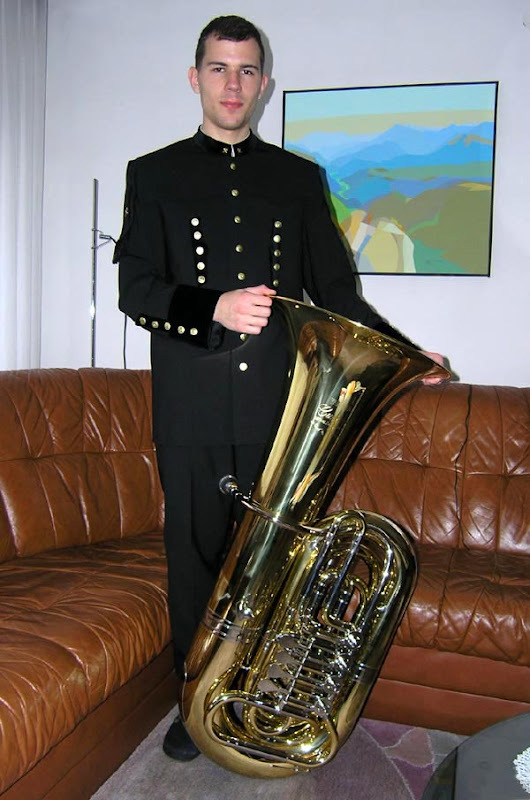 Tuba is the biggest wind instrument and usually set somewhere at the back of an orchestra. One of the bands he is playing in is the Mining Wind Band Idrija. It is supposed to be the oldest European wind band with its beginnings dating to 1665 or even earlier. For those of you who don't know this - Idrija is a Slovenian town with more than 500 years of history. Most of it is in one way or another connected to its mercury mine. Nowadays the mine is closing down. In California, USA there is a town called New Idria, which was named after the above mentioned Idrija. The second thing beside their name they have in common is a mercury mine. Last week band members got new uniforms, which remain in classical mining coloring and style. 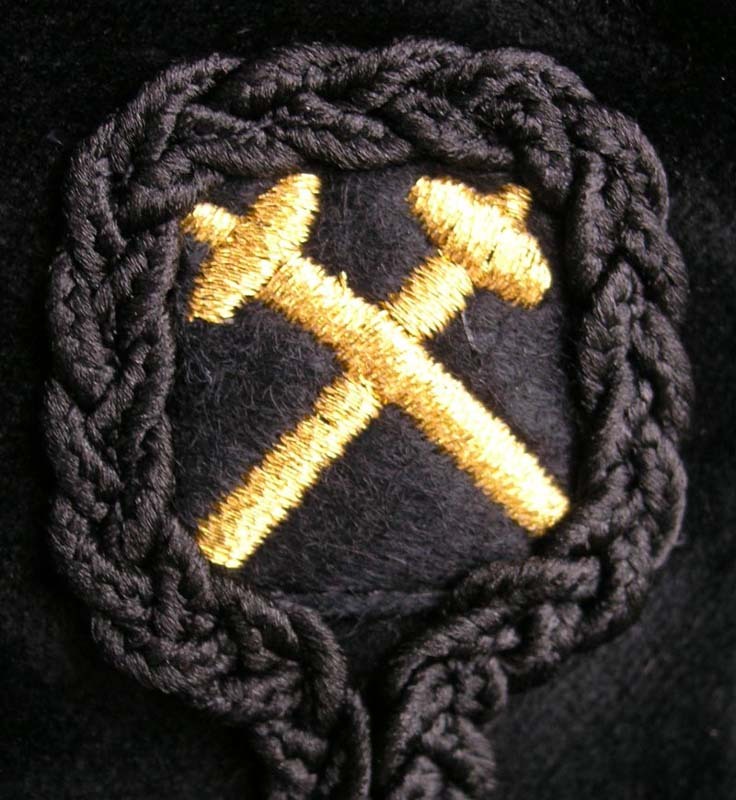 A typical miners symbol from the uniforms sleeve can be seen on the above photo. In addition to that they also bought a new tuba. These things can be quite expensive - the price of this model (Yamaha YBB-841 GE) is in the range of 10.000 USD (7.500 EUR). Ordered directly from Japan it surprisingly took only 10 days for delivery. I just had to take a couple photos.